Microsoft says it will launch the 650 in select European markets, for now. More and more, Microsoft seems to transitioning Windows Phone into a business-oriented device. So it’s a little odd that its new phone, the Lumia 650, appears to have launched without support for Microsoft's Continuum Display Dock. 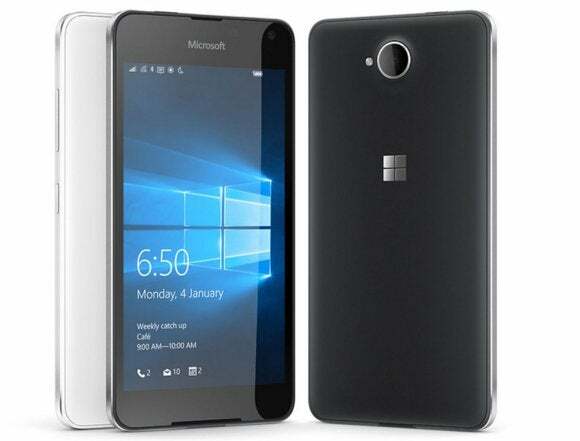 Microsoft’s Lumia 650 is decidedly a midrange to low-end phone: according to Microsoft’s specifications, it’s powered by a low-end Qualcomm Snapdragon 212, with just 1GB of RAM, 16GB of internal storage, as well as a 5-inch, 1280x720 display. And, like the Lumia 950, Lumia 950XL, and Lumia 550, it does run Windows 10 Mobile. Microsoft said its new phone will cost less than $200, but didn’t release a price in euros. It’s not all that strange, however, that Microsoft launched the Lumia 650 overseas and not in the United States. U.S. customers seem to prefer (and have been clamoring for) new flagship devices that can compete with similar products on the Android and iOS platforms. But Windows Phone’s market share has sagged, while overseas it is at least viable. In the U.K., for example, it stood at 9.2 percent for the three months ending in December, according to Kantar WorldPanel. It’s likely, based on Kantar’s data, that the phone will launch in the U.K., France, and Italy. Analysts began suspecting that Microsoft’s future was in the enterprise last fall, though a recent spate of announcements by PC companies seems to have crystallized Microsoft’s Windows phone strategy: partner with PC companies with little to no phone presence, while building a strong ecosystem of apps for competing platforms. One of the strongest business features of Microsoft’s recent Lumia line, though, has been the Display Dock, a feature that transforms the Windows 10 Mobile phone into a PC-like experience. With Continuum, a compatible phone can be connected to the Dock and an external monitor. A user can then run Windows 10 Universal apps on the phone, through the dock, and on an external monitor—with the apps scaling to fill the available space. Microsoft has included some features that Lumia fans prefer: a removable 2000mAh battery, for example, and SD card support for up to 200GB. There’s an 8MP camera on the rear, and a 5MP selfie camera on the front. Other than that, however, the Lumia 650 seems like just another average Lumia phone. Why this matters: The Lumia 650 doesn’t seem to be compatible with the Dock—or, at least, Microsoft never mentioned it on its blog post announcing the phone or on its product page, including its recommended accessories. We don’t know that the Lumia 650 isn’t compatible with the Dock—but it’s an odd and slightly disappointing omission, nevertheless. If Microsoft plans to make phones for business its new focus, you would think that Continumm, and the Display Dock, would be front and center.